AllegroMedical.com makes it easy for you to find the highest quality hand exercisers, hand exercise equipment and hand exercise device options. 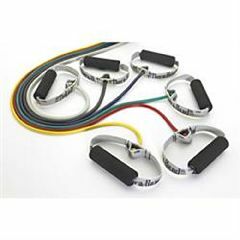 Whether you want to use a Thera-Band, a Gripmaster, soft grip weights, theraputty products or any of the other popular and effective hand exercisers, this assortment hand exercise equipment has it all. Choose hand exercise device options like stress balls, twist and bend bars, or even pull up bars. With brands like Deluxe Comfort, AliMed, North Coast Medical, Thera Band, Cando, and Accu-Net, you’ll be sure to get just what you need. AllegroMedical.com offers only the highest quality hand exercisers and devices at the lowest prices guaranteed. See our Best Price Guarantee for more details.